The Forbidden is rectangular in shape. It is 961 meters long from north to south and 753 meters wide from east to west. The gate on the north is called Shen Wu Gate, or Gate of Spiritual Valor. 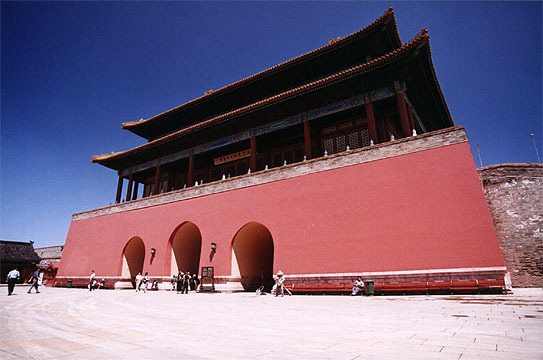 This is a view of the Gate of Spiritual Valor from inside the Forbidden City.